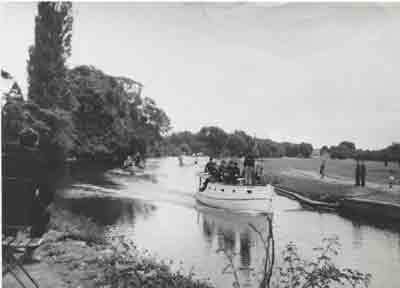 Early photo of Abingdon UTP taken August bank holiday 1940. Downstream of Abingdon bridge on motor launch Induna. A2 stretch, boat number 4. Taken August bank holiday 1940. Downstream of Abingdon Bridge. 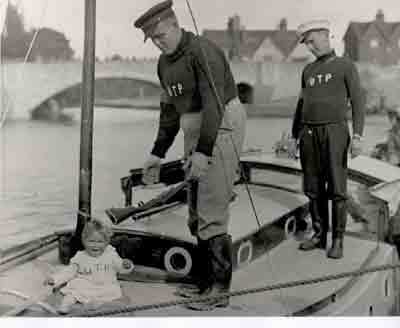 Sid Thomas with his daughter Angela (the mascot) along with Percy Smith, Skipper. A2 Stretch, launches assembled for review by Sir Ralph Glyn. The craft have been upstream towards Abingdon Lock to assemble and are now proceeding downstream to pass in review before Sir Ralph Glun, who had a case near Abingdon Bridge. 15th September 1940. Description written on the back. 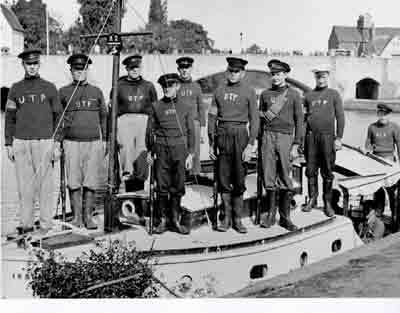 "Having passed in review, the flotilla have gone alongside the bank to embark Sir Ralph Glyn and other senior officers. 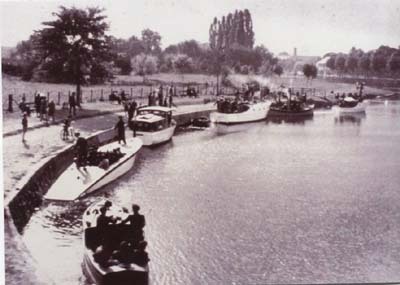 The flotilla then proceeds downstream to Culham Lock to carry out manouevres. The wide variety of craft in use by the UTP is well illustrated with the cabin cruisers of various sizes." 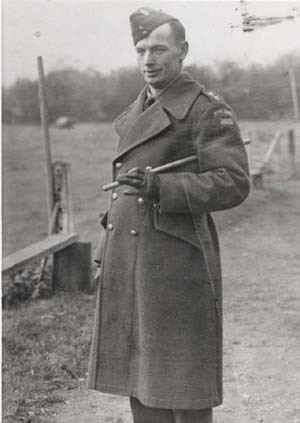 Second Lt. Percy Smith of Shilford Manor Farm, Witney, in charge of Abingdon stretch. 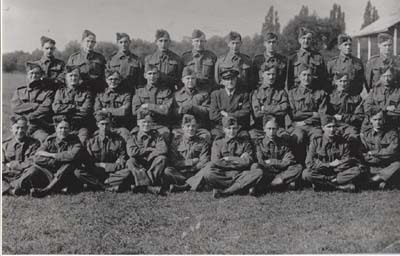 Early group photograph of Abingdon UTP taken at Abingdon Football Club, which was their HQ. Rear row from left Dean Prout, Harry Wiggins, Ben Cotteridge, Dean Preston, Tom Cox. 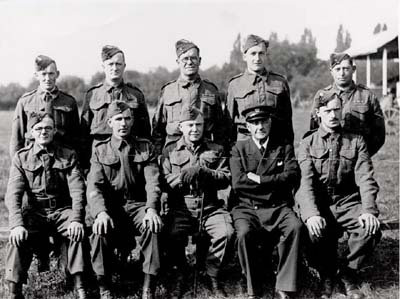 Front row from left Bill Heaton, Fred Moore, Major Lyle, M Narder (known as Daddy Narder) ex-Navy, Cyril Lay. Group photograph of Abingdon UTP taken at Abingdon Football Club. Members of Abingdon UTP after an instructional course at Abingdon Football Club. 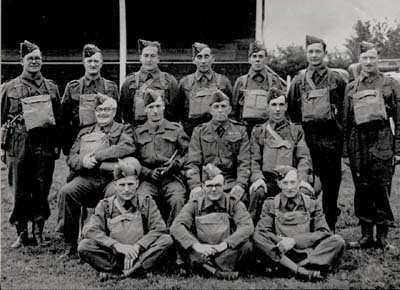 Note the regular soldier instructor in the middle rank, sitting next to Lt. Percy Smith.